We’d all like to have enough money to buy the things we want without worrying about the expense. The good news is that anybody can learn how to save money and improve their financial situation, with a little bit of planning and persistence. If you’re wondering how you can afford the lifestyle you deserve, we’d like to help you figure it out! The Conn’s HomePlus mission is to make it possible for everyone to purchase quality, long-lasting products for their home. Our Money Matters spending and saving strategies and tips will help you work toward the goal of saving more money to buy the things you and your family want and need. Saving money is important for so many reasons, but it can be hard to imagine saving when it’s tough to make ends meet every month. Almost everybody can find ways to cut back on expenses and save more. Check out our simple money-saving tips and adjust your habits to save hundreds of dollars a month! The quickest way to cut back on unnecessary spending and save more money is to create a budget. When you can see all the little expenses adding up day after day, you’ll get motivated to cut back, keep more money in your savings account and work toward your larger financial goals. Shopping is supposed to be fun – but it’s a lot more fun when you’re getting great deals and hanging onto more of your money! Our smart shopping tips will help you stretch every dollar, whether you’re shopping for groceries, clothes or new furniture for your home. If you’re dreaming about new appliances, furniture or other major items for your home, you might want to make a savings plan so you can buy those big-ticket items with cash. Check out our tips for creating a plan and taking steps to save money fast, within a set time period. A spending plan is a clear outline of what you intend to spend your money on each month. Awareness is the first step to changing your habits for the better. Once you see exactly where your hard-earned money is going, you can adjust your spending to better align with your priorities and goals. Learn how to create a monthly spending plan, then adjust it to reach your financial goals faster. Did you know that your payment history accounts for 35% of your credit score, according to one estimate? So it’s very important to pay your bills on time. We show you how to create a system for paying bills on time every time. Saving money and reaching your financial goals is much easier to do when you follow a good plan. 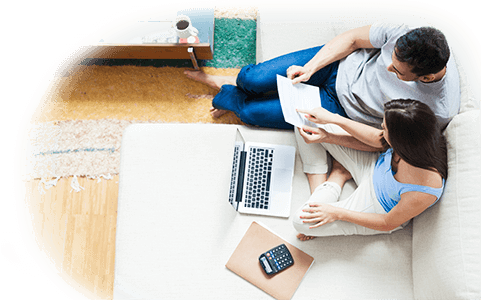 We outline 5 steps to taking charge of your finances so you can work toward becoming debt-free, buying new furniture or appliances for your home or saving for a comfortable retirement. Everybody has financial goals, but not everybody has a clear financial management plan. We offer tips for reaching 9 common financial goals, from paying off your student loans to establishing emergency savings to buying a house. When unexpected events scatter storm clouds over your budget, you’ll be very glad you have a rainy day fund set aside. But if you haven’t established emergency savings yet, how do you get started? Check out our tips for building up your rainy day fund, so you’ll be ready to weather any financial storm. It may feel as though your paycheck is simply disappearing every month, but the truth is you’re spending it on all kinds of things! Logging your expenses in a spending tracker will show you exactly where your money is going. Then you can make some decisions about where to cut back so you can save more.